Sonita opens and closes with a shot of Sonita Alizadeh sticking a photo of her face over that of pop icon Rihanna’s. It’s profound as at the start, it appears to be nothing more than a pipedream. Yet by the end, although the goal still remains, she’s much closer than we could have imagined. Near the beginning of the film, Sonita’s teacher Ms Poori asks the class to produce two hand drawn passports - one with their correct, factual background, and the other with their ultimate fantasy. Sonita puts her dream parents as Michael Jackson and Rihanna, and her place of birth as the US, which Ms Poori finds amusing as she would be allowed everywhere “but you couldn’t come to Iran!” Sonita idolises Rihanna, just as many girls across the globe do. She embodies everything that Sonita aspires to be, but despite their paths being so different, they bear more similarities than you may think. Money however, is a strikingly obvious divide between Sonita and her idol. Early on, we meet Sonita’s sister and niece, with whom Sonita shares just one room to live in. She is trying to raise $150 to avoid them being evicted, and speaks to the centre where she is employed about perhaps getting paid early. 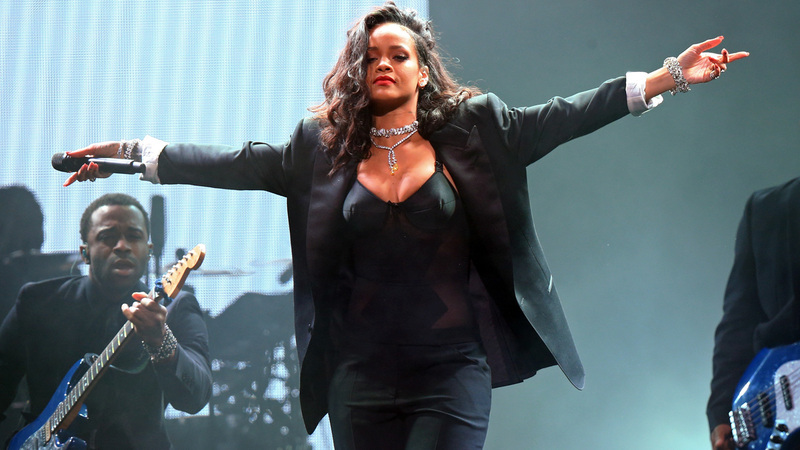 When Rihanna released her first album in 2005, aged 16, it grossed $5 million. In 2016, aged 28, Rihanna is supposedly worth over $300 million. We then see Sonita speaking to her friend at the centre, a friend who is about to be sold by her father as bride for $3,000. He is not satisfied with this amount however, as “the price of girls is up.” Sonita then retorts “We don’t have price tags like sheep!” In Afghanistan, where Sonita was born, over 40% of girls are married before the age of 18. Cultural practices such as child betrothal and exchange marriages (families exchanging their daughters) contribute to its high prevalence. Poverty fuels this dated tradition, which is why Sonita’s mother travels to Iran to find her - she wants to sell her for $9,000 in order to pay for her brother’s bride. 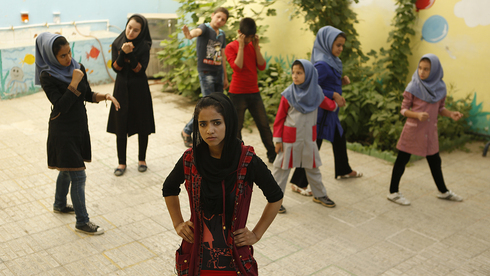 Sonita is lucky to have escaped to Iran, and to have access to an education as half of Afghan children (predominantly girls) still do not attend school, resulting in the country having the lowest female youth literacy rate in the world; estimated to be 18%. This leaves them with little options for the future, other than to marry, and as Sonita’s mother says “Even an 80 year old man can marry a 16 year old girl,” in this culture. Sonita wants to change this through her passion for music. “I wrote mostly pop songs before but I felt I couldn’t express my message with pop. So I decided to do rap.” She tells a music producer. However, unlike Rihanna who was taken from Barbados to America and signed to Def Jam records on the spot, things are a bit trickier in Iran. “Female solo, no permission?” We see one of many producers turn Sonita and her bandmate Ahmad away as they don’t want to risk losing their license. In Iran, it is illegal for a woman to sing without being accompanied by a man and a permit from the government. It’s heartbreaking to see her constantly getting turned away from being able to put her message out into the world. 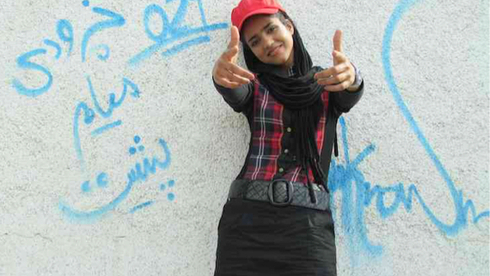 “The thing in Iran is that a female singer can't work freely and they can't record or have a concert. 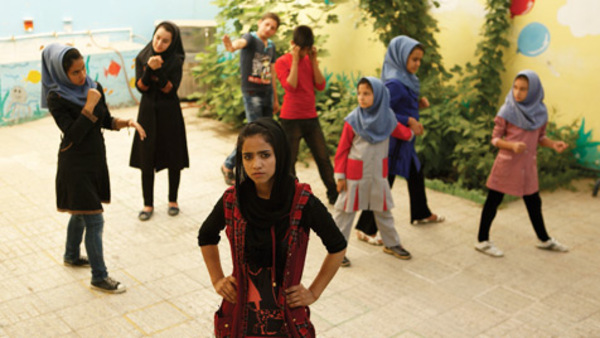 There is a big underground music scene because most forms of modern music are forbidden,” explains Rokhsareh Ghaemmaghami in a recent interview with i-D, who we see switching her role of filmmaker to cast member, as she actively becomes involved in Sonita’s path to freedom. It’s hard to imagine Rihanna who has released eight studio albums, two compilation albums, two remix albums, one reissue and 58 singles (including 13 as a featured artist) ever being silenced. 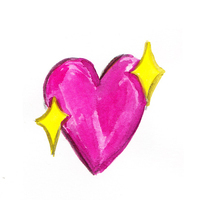 Later in the documentary, Rokhsareh begins to ask her if she has ever been in love. Sonita clearly finds this tiresome, so replies “Give me the camera. Now it’s my turn to ask you some questions!” Rihanna is known for her no-fucks-given approach to the media and always retains a sense of self in interviews. When questioned by a red carpet reporter “What are you looking for in a man?” she simply replies “I’m not looking for a man, let’s start there.” Both women demand respect and to call the shots, which probably stems from their difficult pasts. Sonita had to flee her homeland of Afghanistan as a child to escape the Taliban, and whilst Rihanna has probably never endured something on a similar scale, she suffered highly publicised physical abuse at the hands of her ex-boyfriend. They are both survivors. Unfortunately, domestic violence and underage marriage seem to go hand in hand. In 2009, Human Rights Watch reported that 85% of the Afghan women they surveyed had experienced violence in the form of forced marriage, physical, sexual or psychological violence. There is a scene where Sonita’s classmate tells her fellow peers that she is also soon to be married at the will of her family. One of them pipes up “Did they beat you up, or did you agree?” It appears extremely normalised that disruptive or unabiding females are beaten by their male counterparts. This is again highlighted at the start of the film, where a girl with a black eye is sat in Ms Poori’s office. She tells the girl “I talked to your older brother and he promised that it won’t happen again.” This storyline is not explored any further. In her ‘Brides For Sale’ video Sonita has make up applied to mimic a wounded face; she spits blood out of her mouth and has a blackened eye whilst wearing a wedding dress and veil. It’s what she knows her fate will be if she is sold into an unhappy marriage, and it forces viewers to recognise that it is something that happens to countless girls less fortunate than her. Many women who experience domestic violence feel ashamed by and unable to cope with what has happened to them. Reflecting in 2015, after being assaulted in 2009, Rihanna said to Vanity Fair “It’s in the past, and I don’t want to say ‘Get over it,’ because it’s a very serious thing that is still relevant; it’s still real. A lot of women, a lot of young girls, are still going through it. A lot of young boys too. It’s not a subject to sweep under the rug, so I can’t just dismiss it like it wasn’t anything, or I don’t take it seriously. But, for me, and anyone who’s been a victim of domestic abuse, nobody wants to even remember it. Nobody even wants to admit it.” With the world watching, Rihanna was thrust into the role of ‘poster girl’ for domestic violence, and as much as it isn’t a role you would wish on anybody, her strength and success have inspired hope in others. Sonita is challenging her culture which advocates this kind of behaviour, by throwing hard hitting visuals in their faces, which are difficult to ignore. She is actively refusing to accept the norm, whilst trying to change things for others. 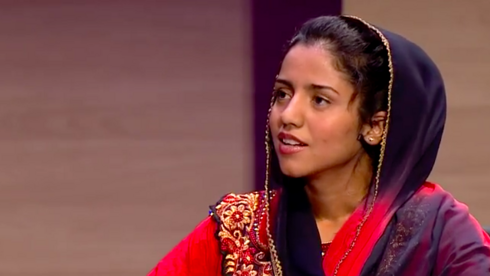 Sonita Alizadeh is living proof that anything is possible; it doesn’t matter where in the world you are, what your family background is, or what your cultural traditions are. If you have faith in yourself, and an unstoppable passion with a constant refusal to take no as an answer, you don’t have to become a circumstance of your surroundings. Rokhsareh Ghaemmaghami’s documentary is inspiring and uplifting, but at the same time highlights that in 2016, the world is still a very dangerous and unequal place for women. Families rely upon bride prices to ease their poverty, and the vicious cycle of lacking education and child marriage isn’t stopping. It’s thanks to amazing organisations like Girls Not Brides (who provided the statistics for this article) that these girls have a glimmer of hope. Not everybody is born fearless like Sonita, and Girls Not Brides currently have eight key civil society members working to end child marriage in Afghanistan. They are a global partnership of more than 600 civil society organisations from over 80 countries, who are committed to ending child marriage and enabling girls to fulfil their potential. Fittingly, Sonita was named as one of the organisation’s champions last month “I am honoured to be a Girls Not Brides champion. As one, I am asking politicians, families and traditional leaders to help girls fulfil their potential.” She added “We must work with families, in communities, and even with religious leaders to change the tradition of child marriage. Families need to learn new ways and see that there are other possibilities for their daughters.” She will undoubtedly fight for change, and by sharing her documentary with the world, it seems that fight has already begun. Sonita is screening in UK cinemas from 21 October, and you can find your nearest screening by clicking here.